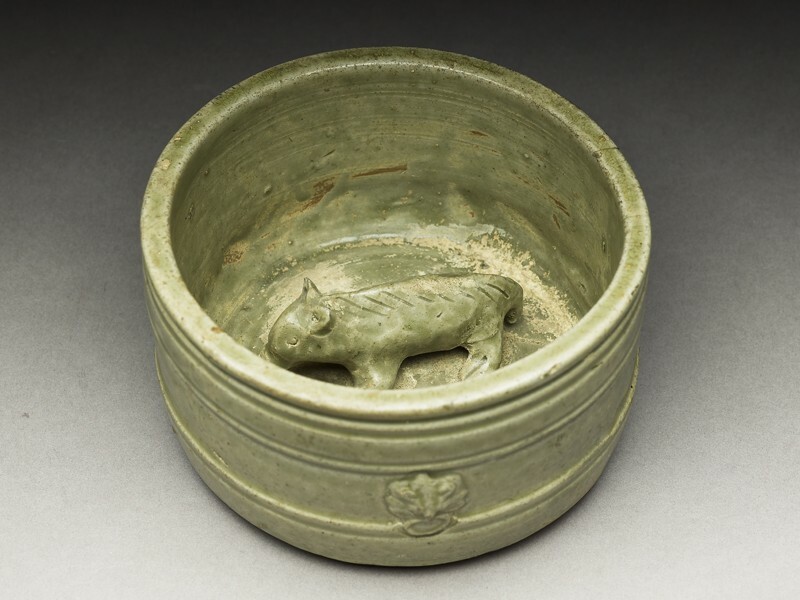 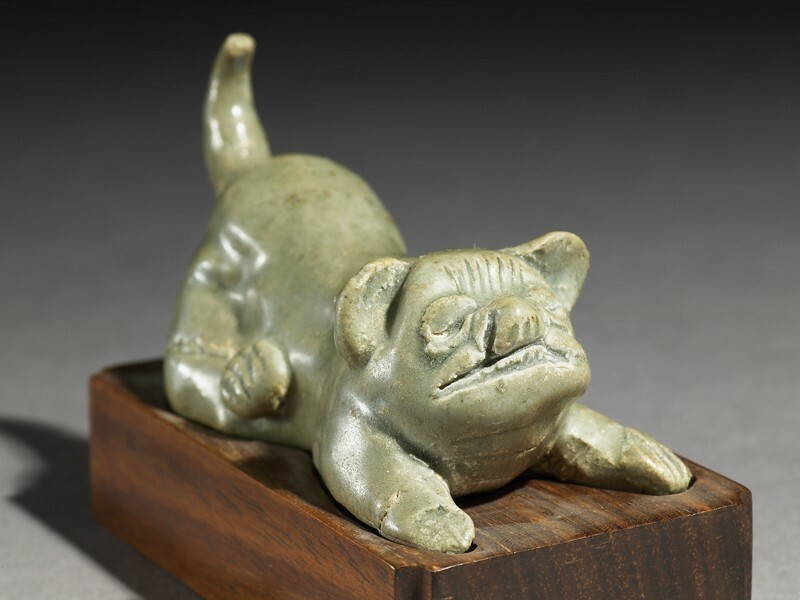 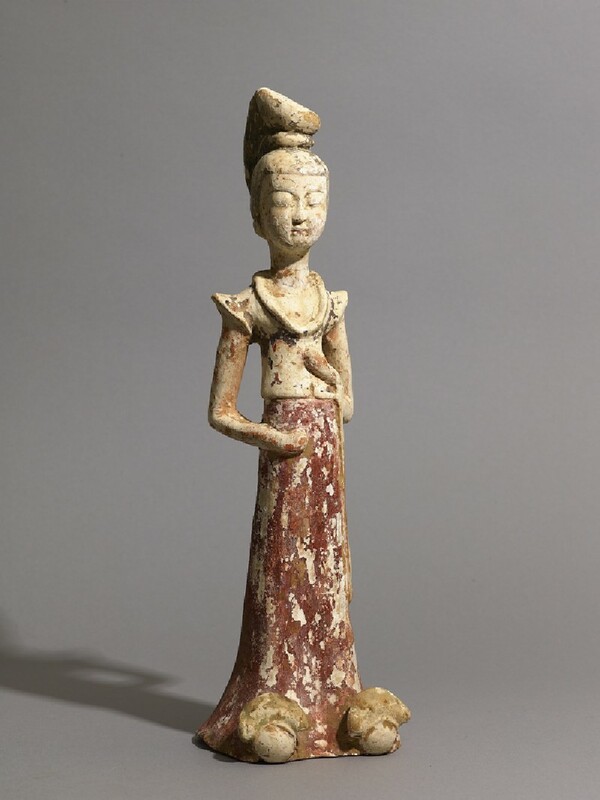 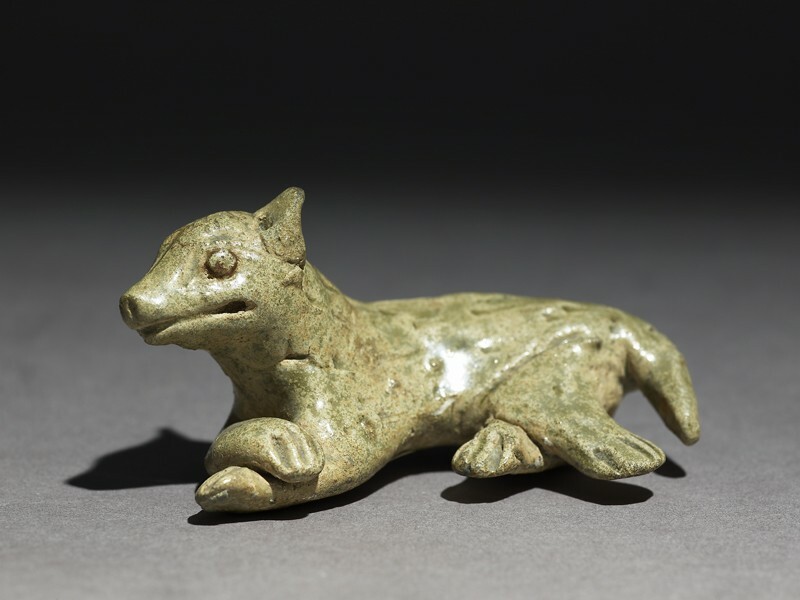 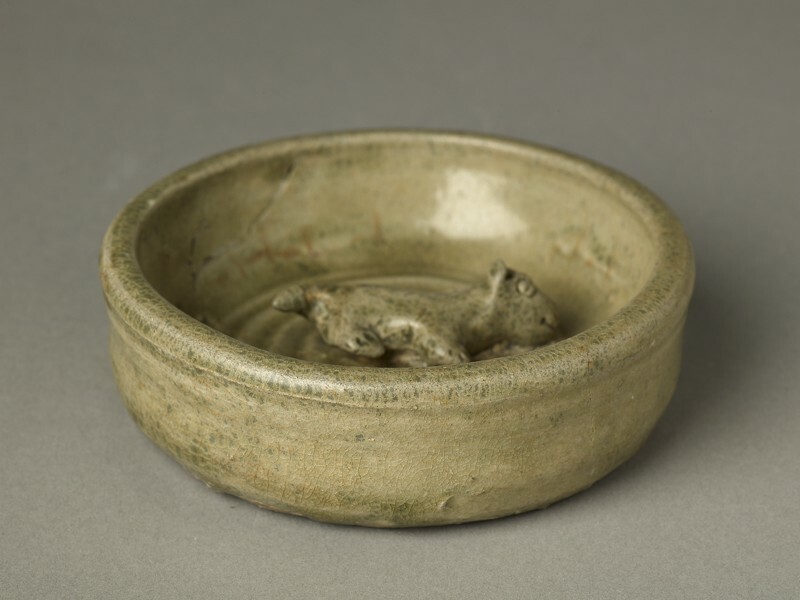 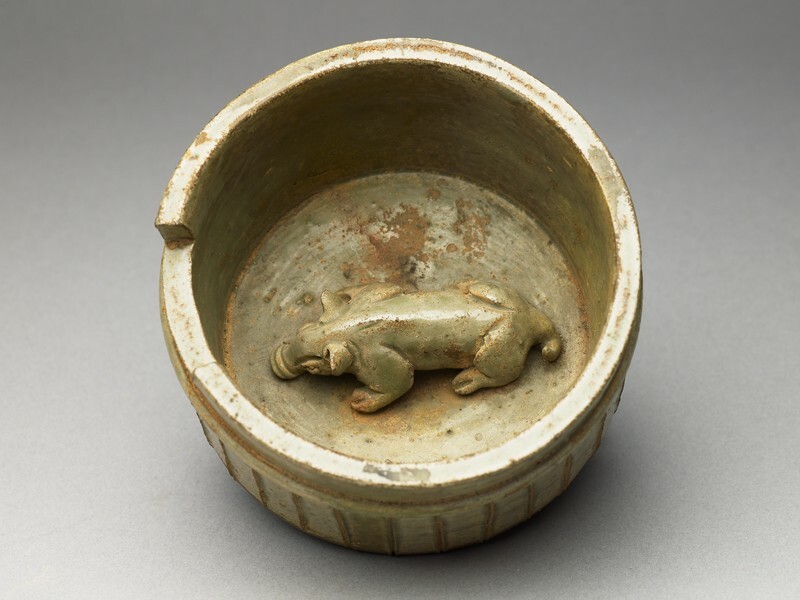 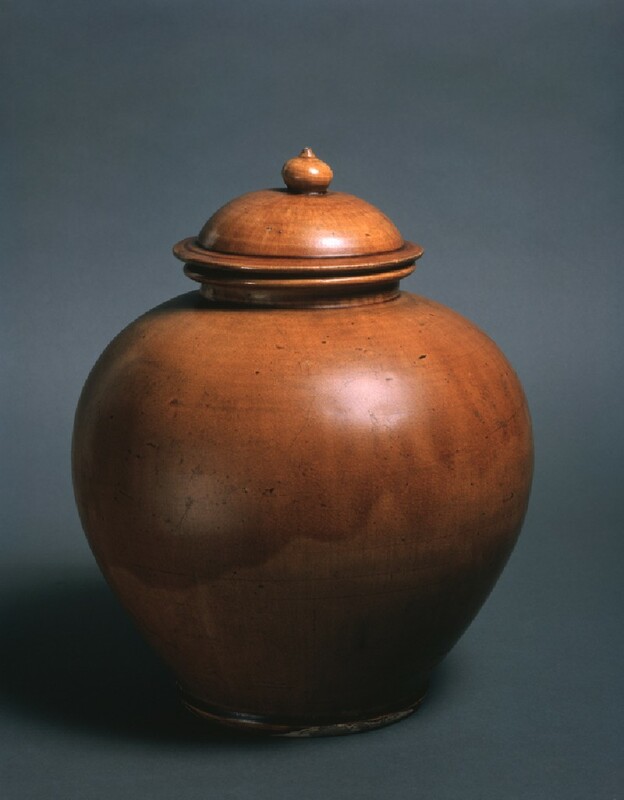 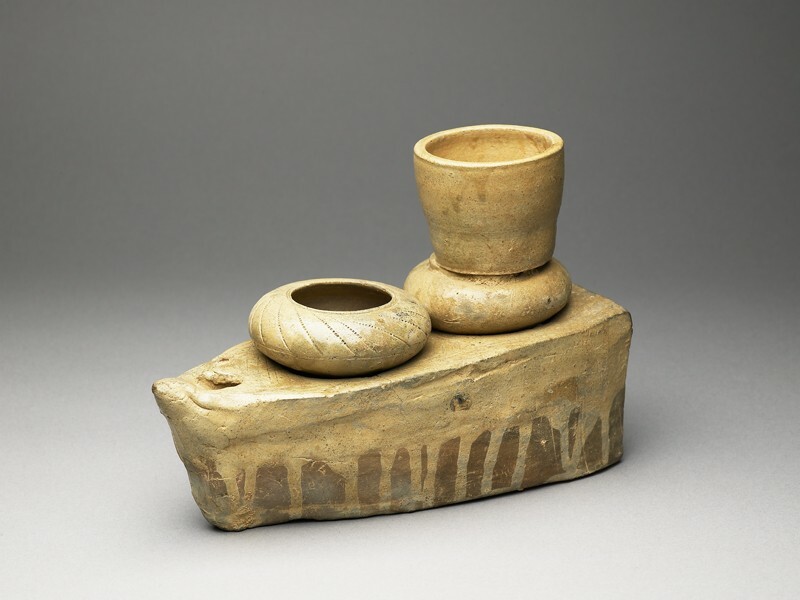 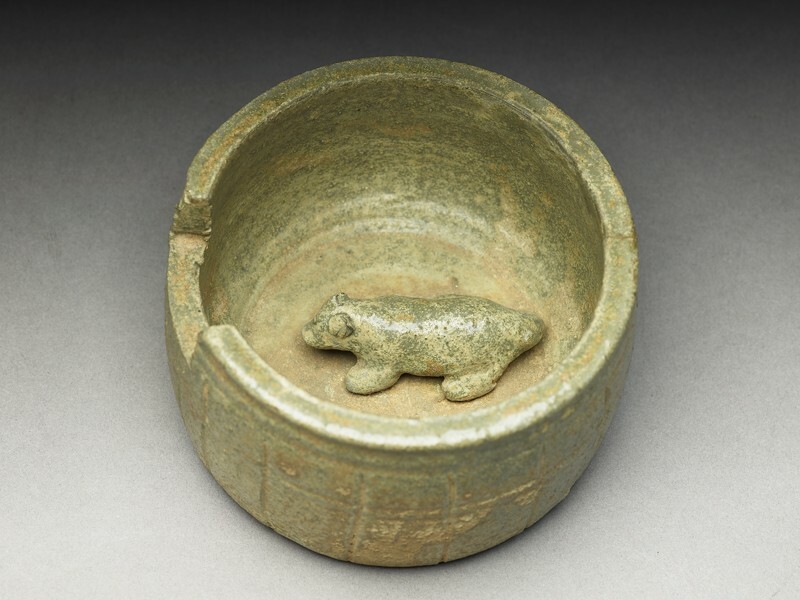 Han dynasty (c.206 BC - AD 220) burial practices included placing models of everyday things in tombs. 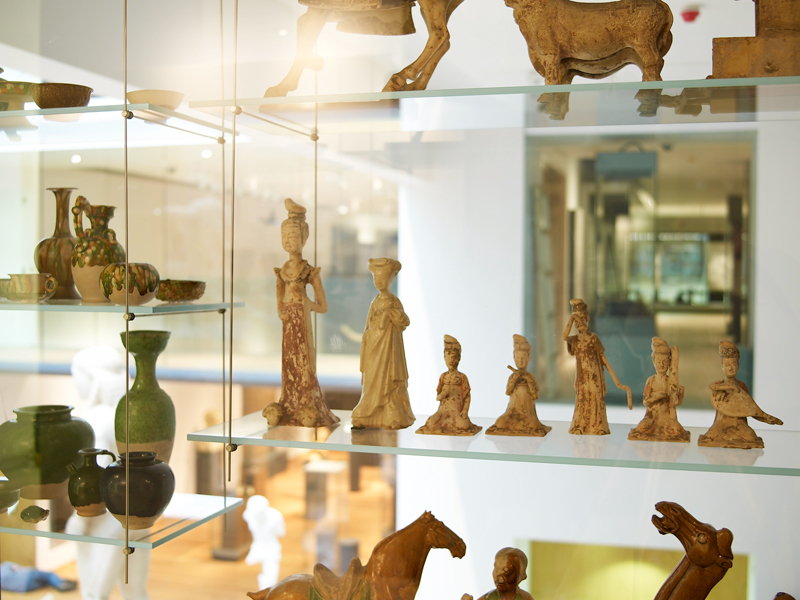 Buildings, human figures, domestic animals and utensils all feature. 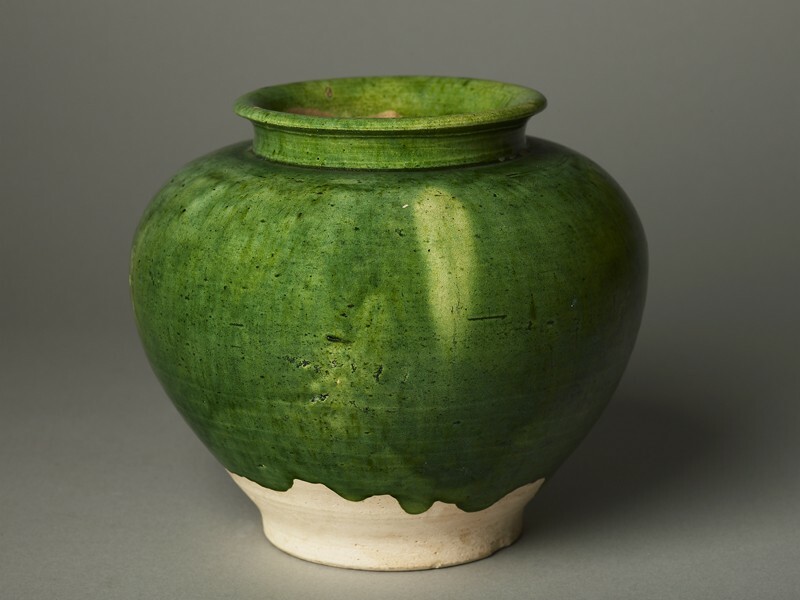 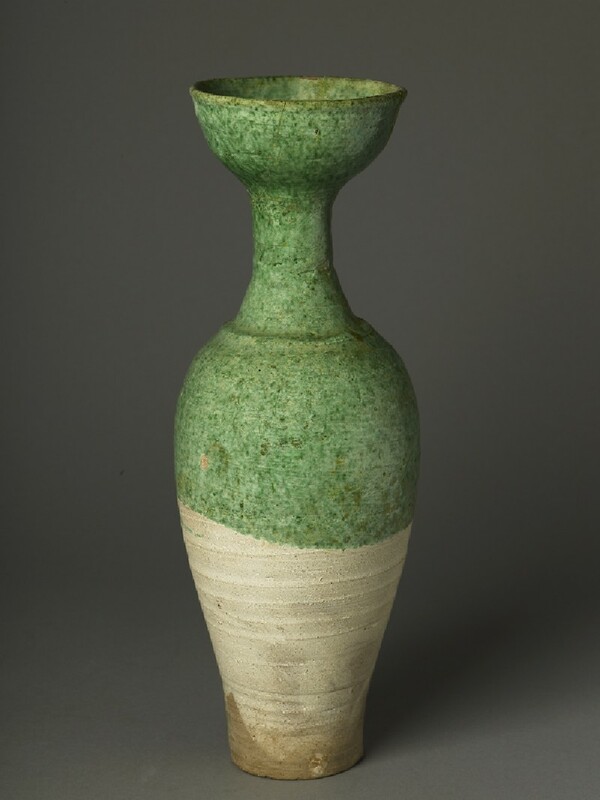 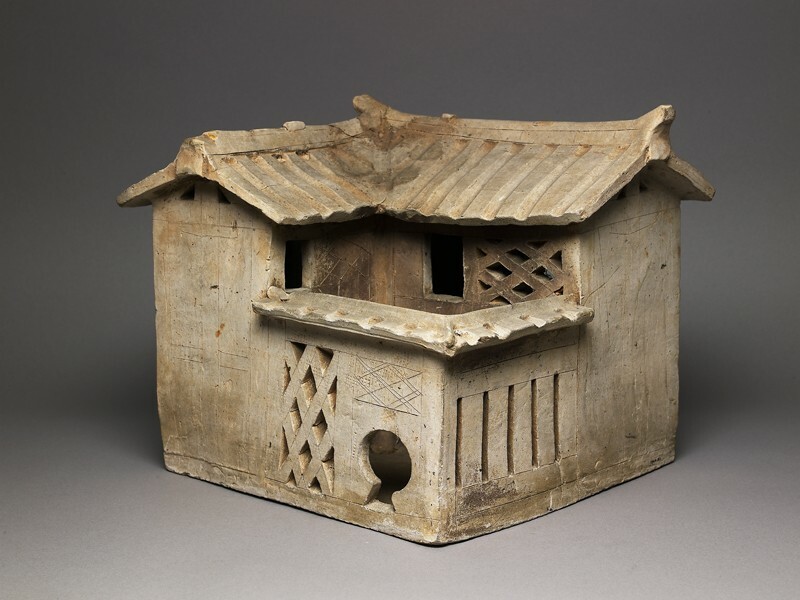 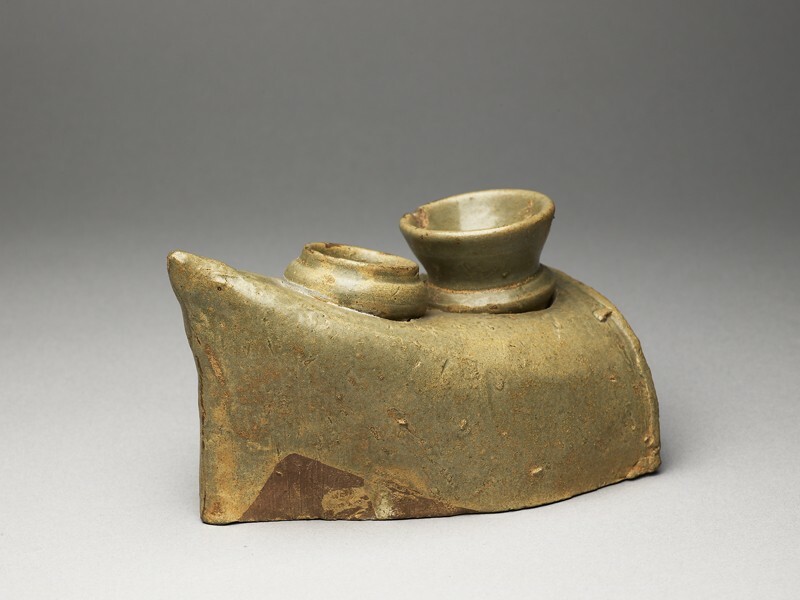 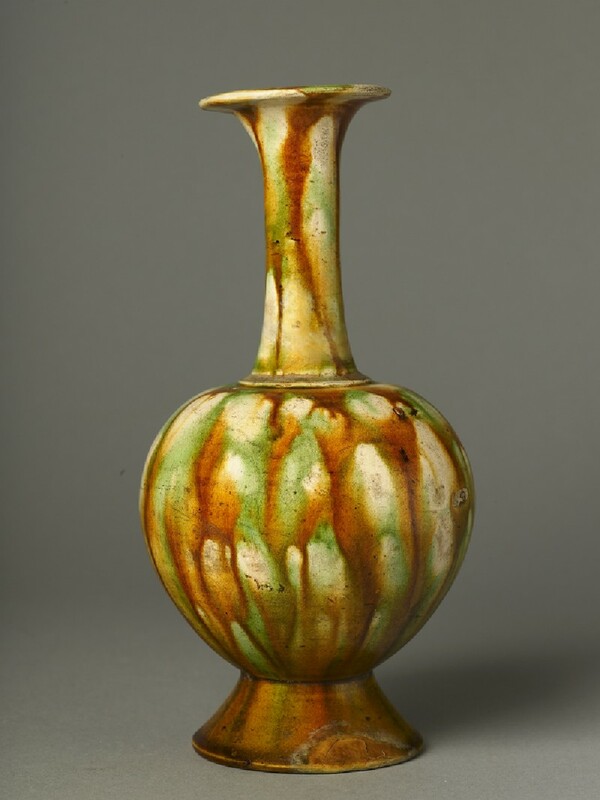 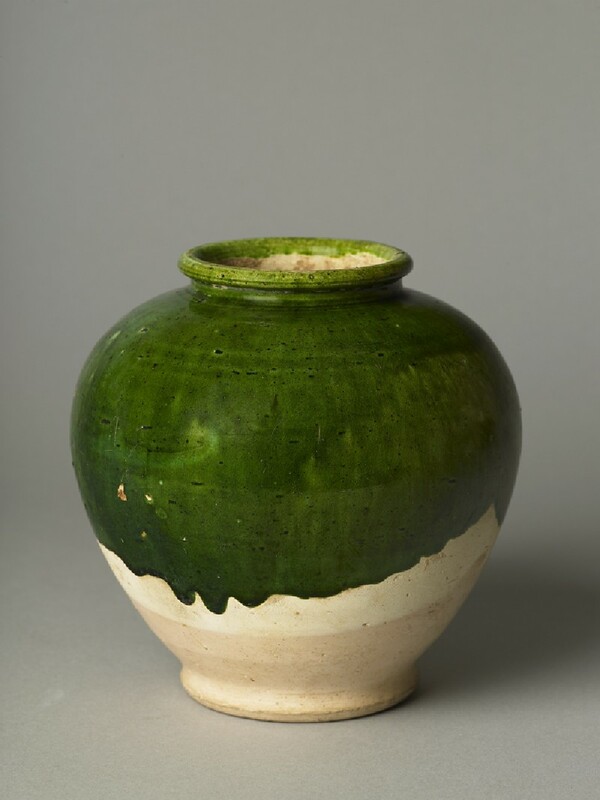 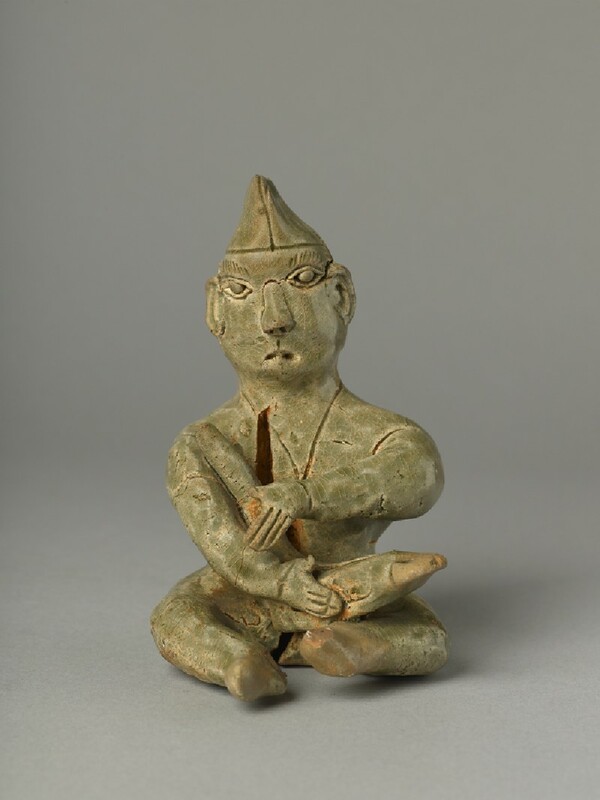 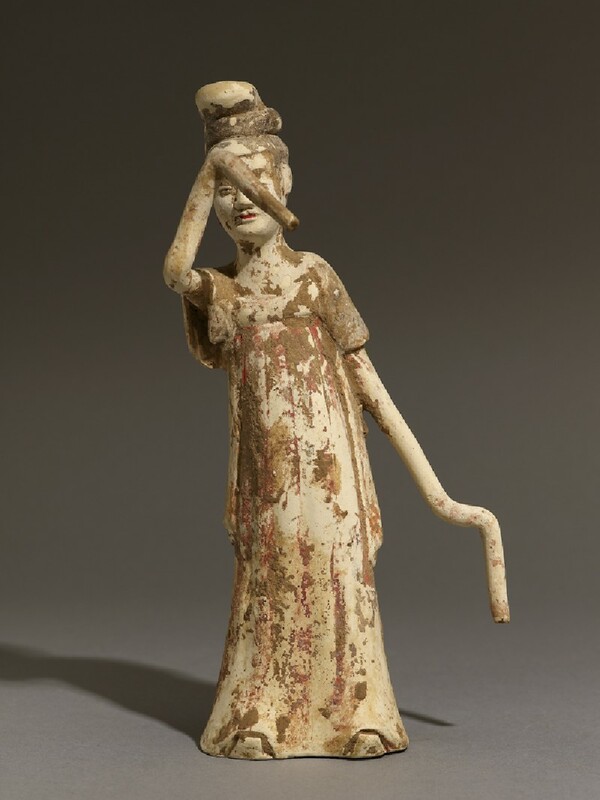 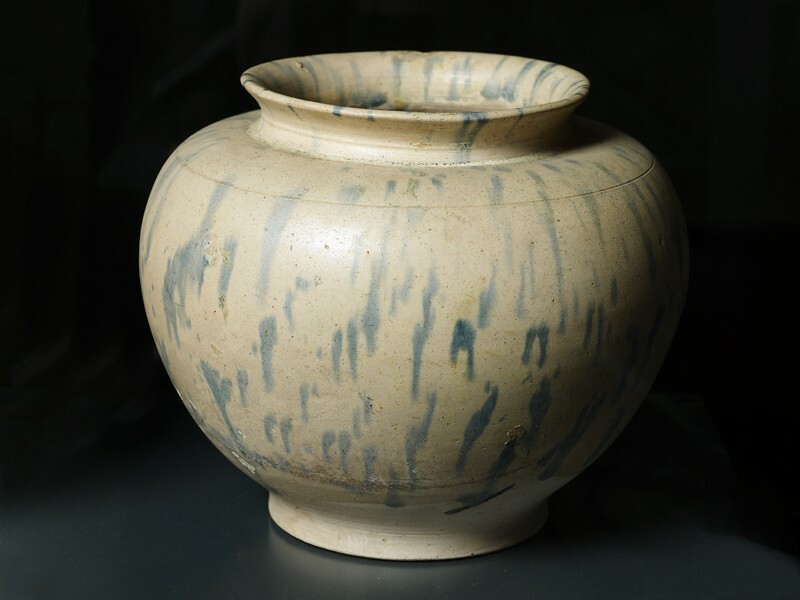 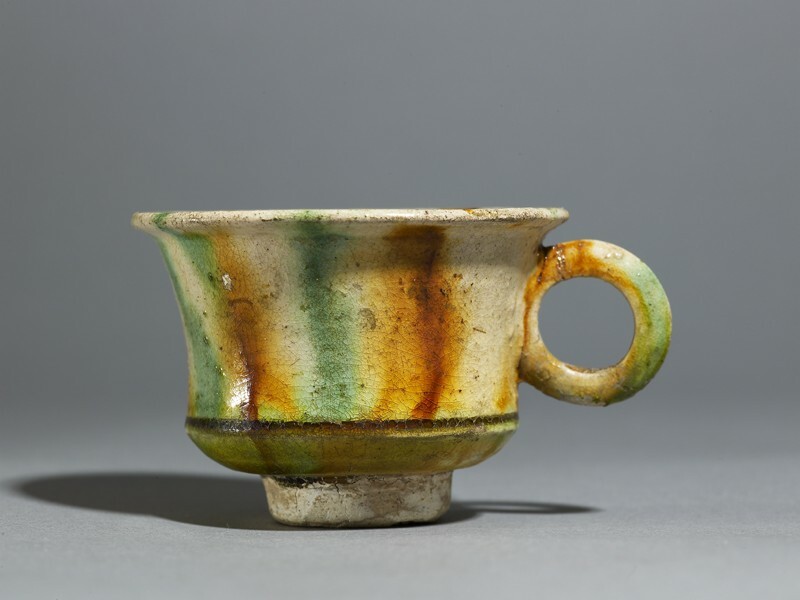 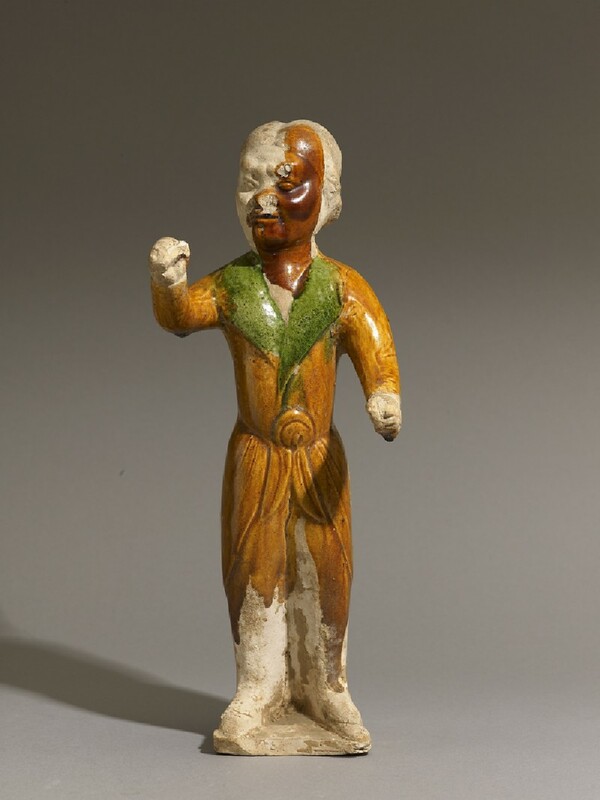 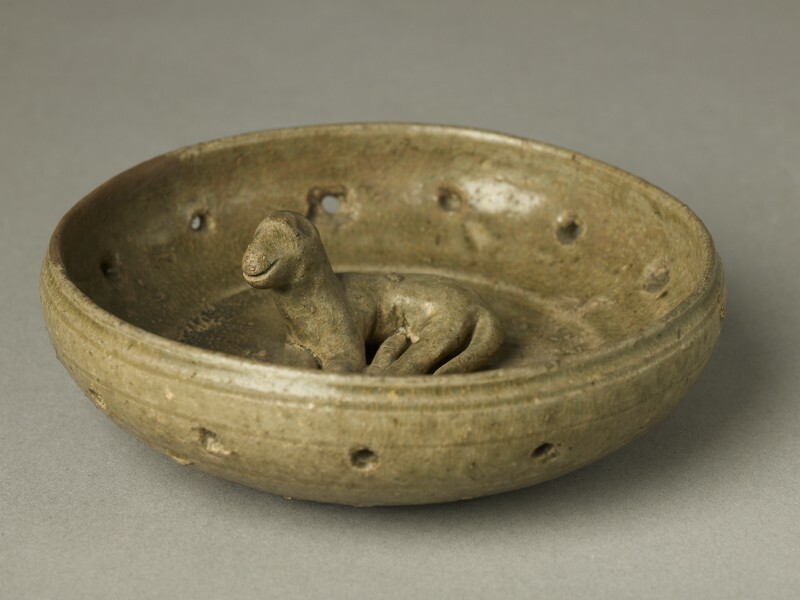 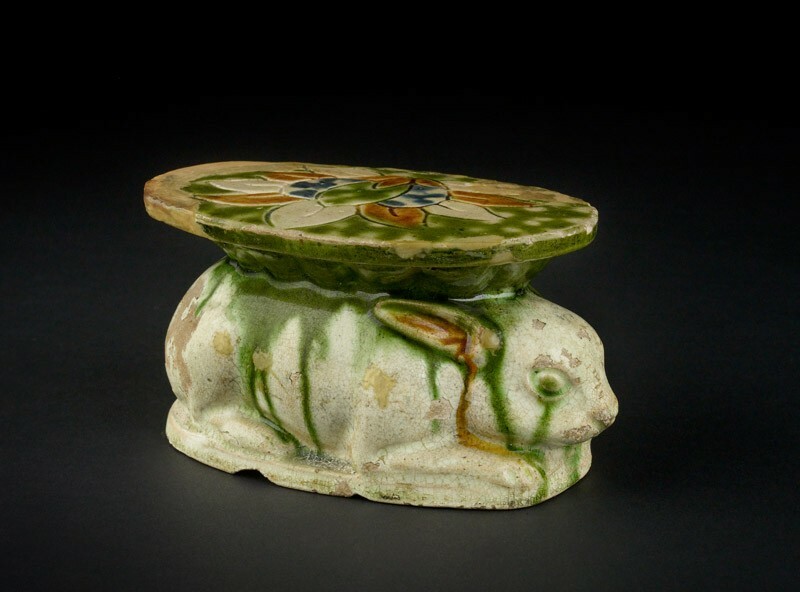 Most are of ceramic: with low-fired lead glazes but in east China the Yue kilns made burial models in the local technique, high-fired with green iron glazes. 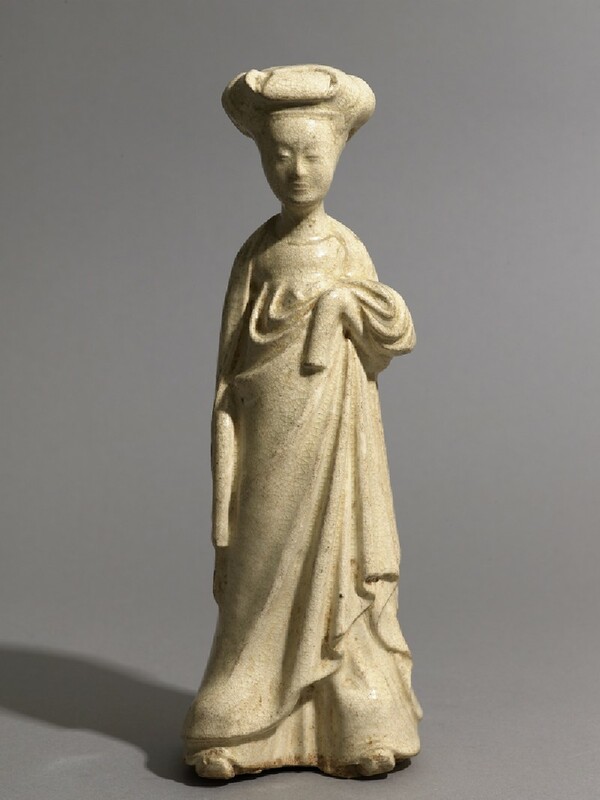 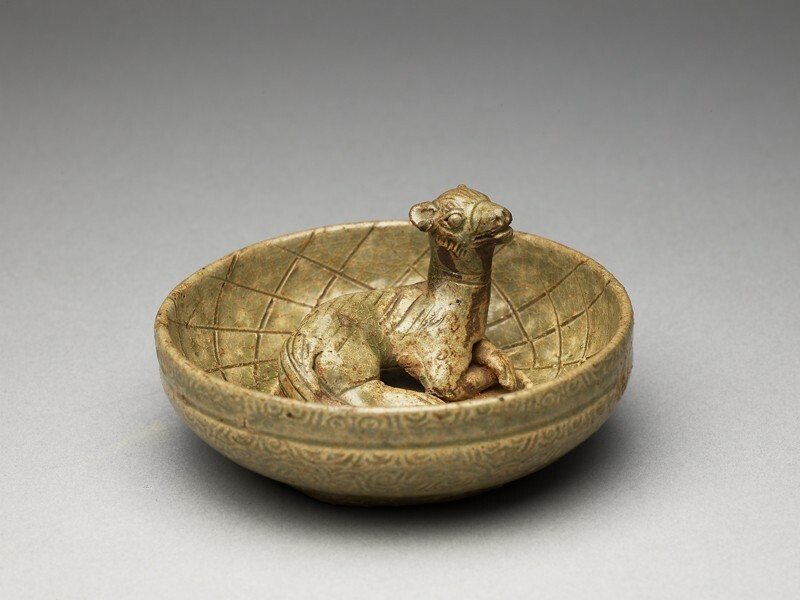 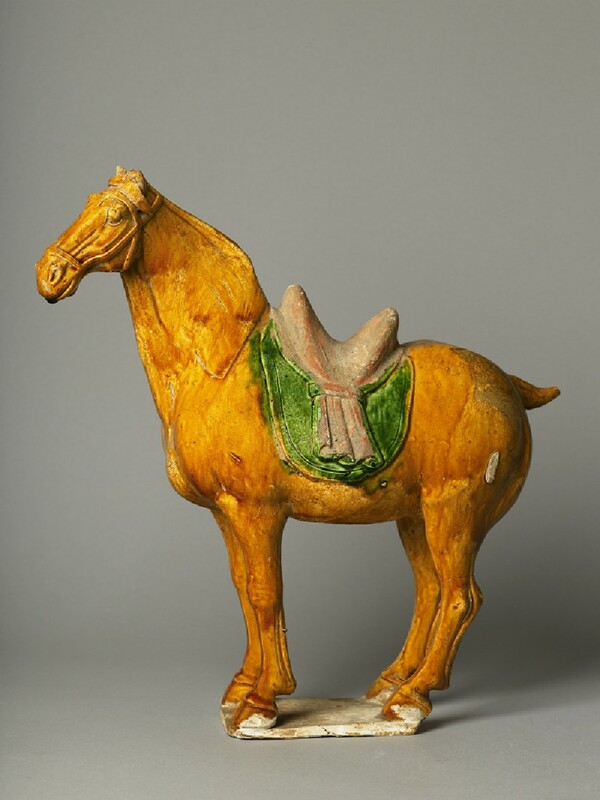 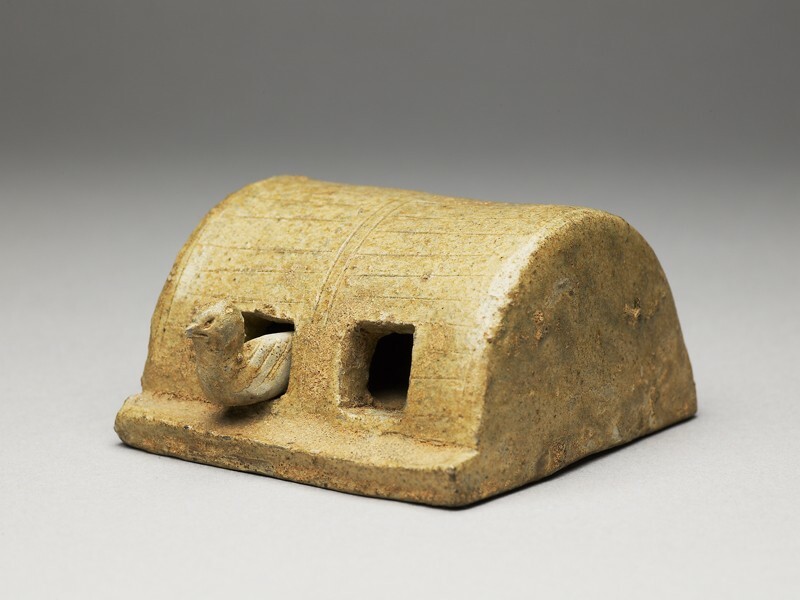 In the Tang dynasty (AD 618-907), burial models were displayed before being placed inside the tomb, and their size and type were regulated according to the status of the deceased. 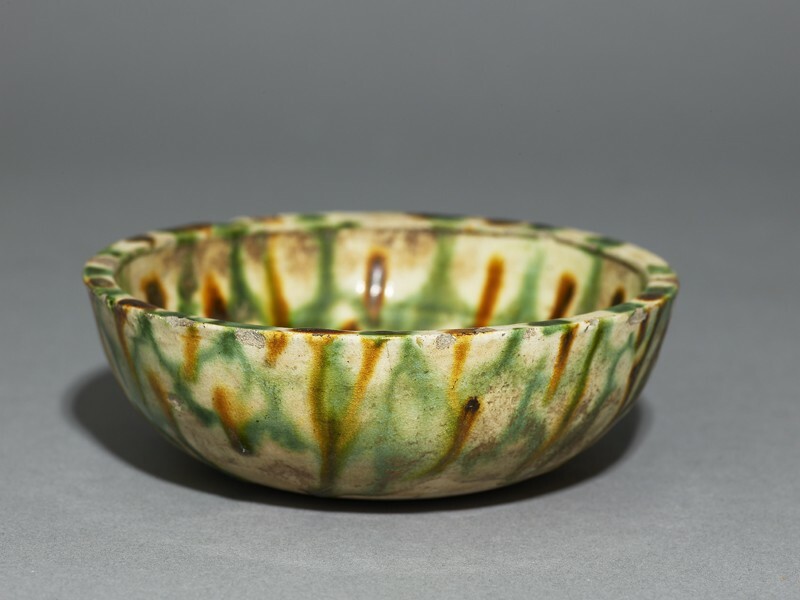 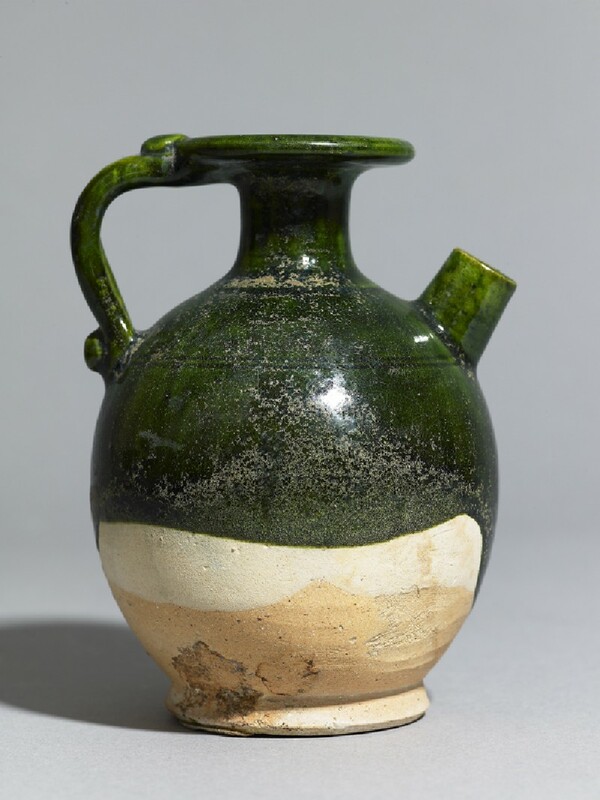 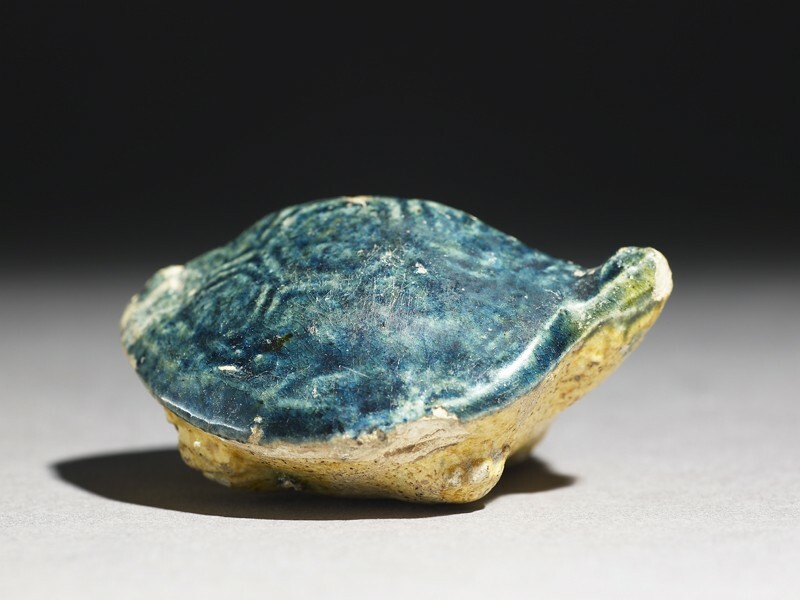 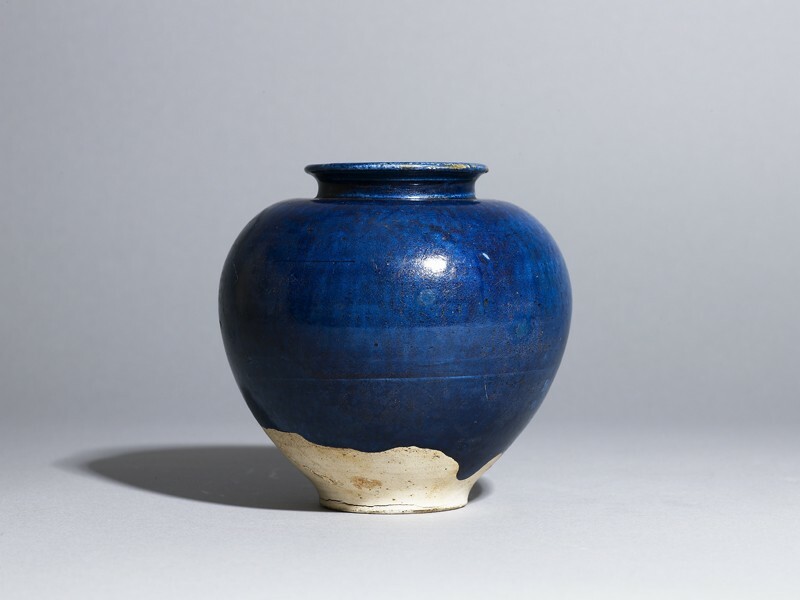 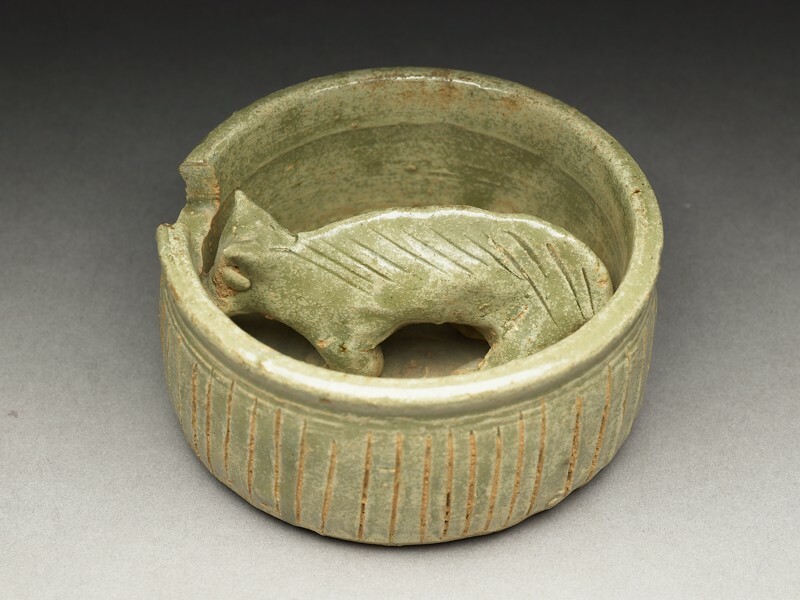 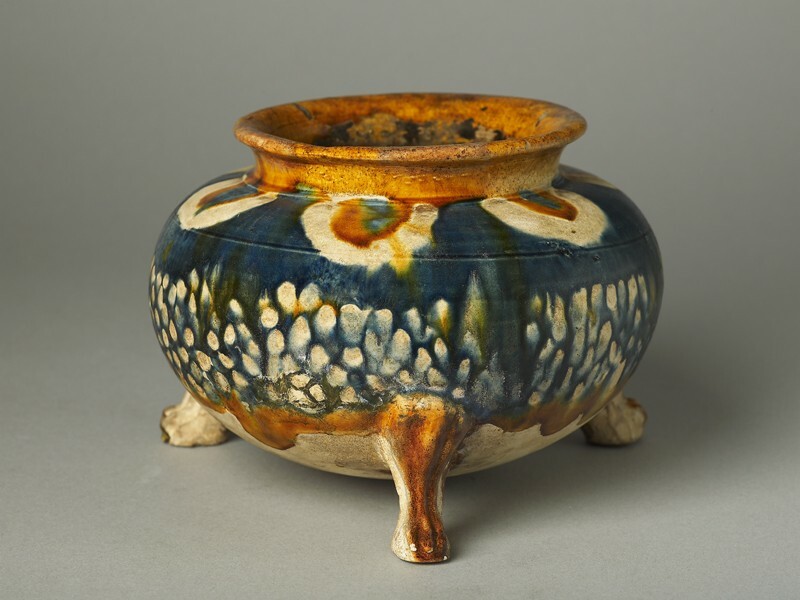 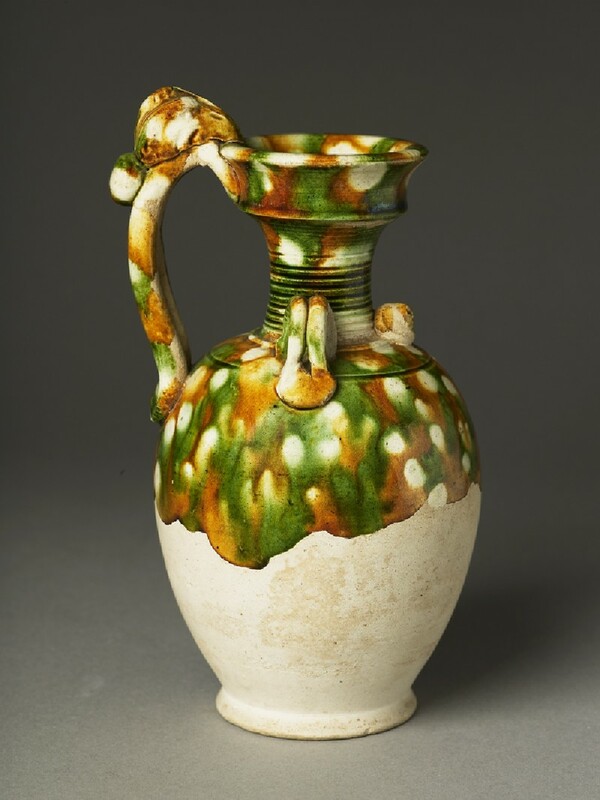 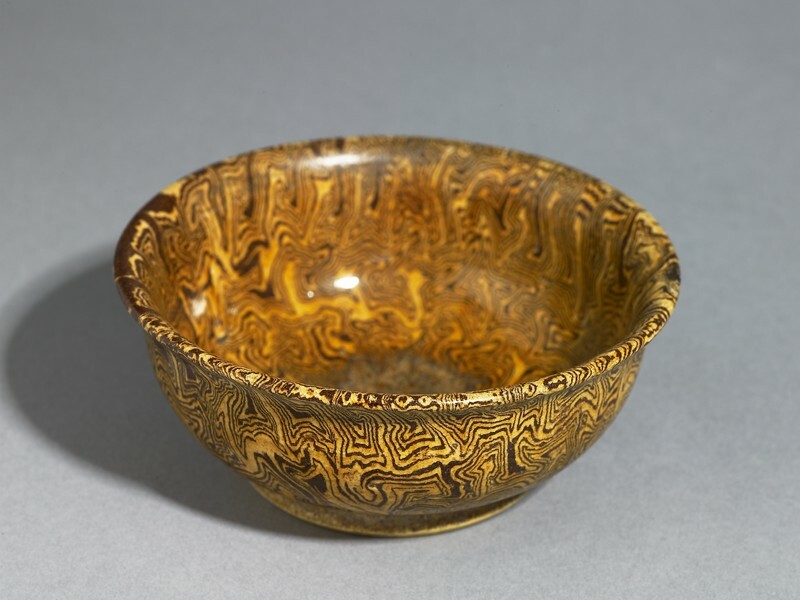 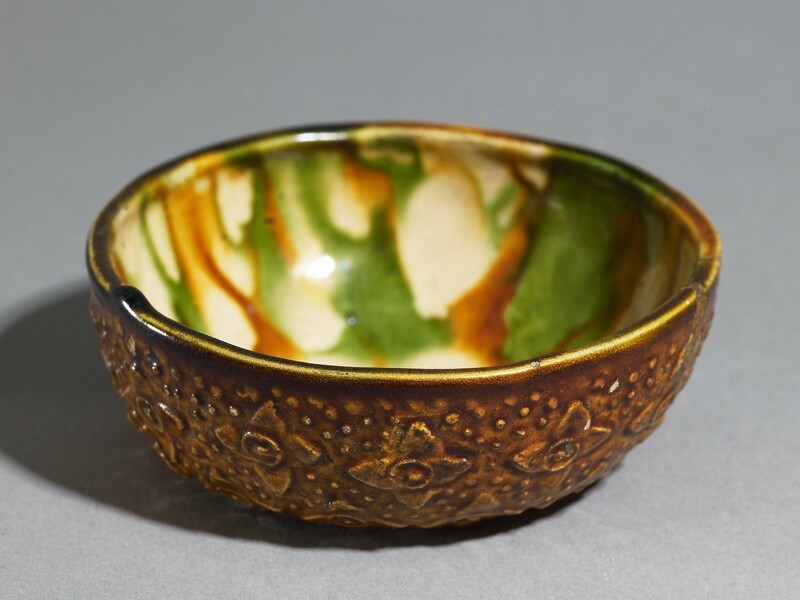 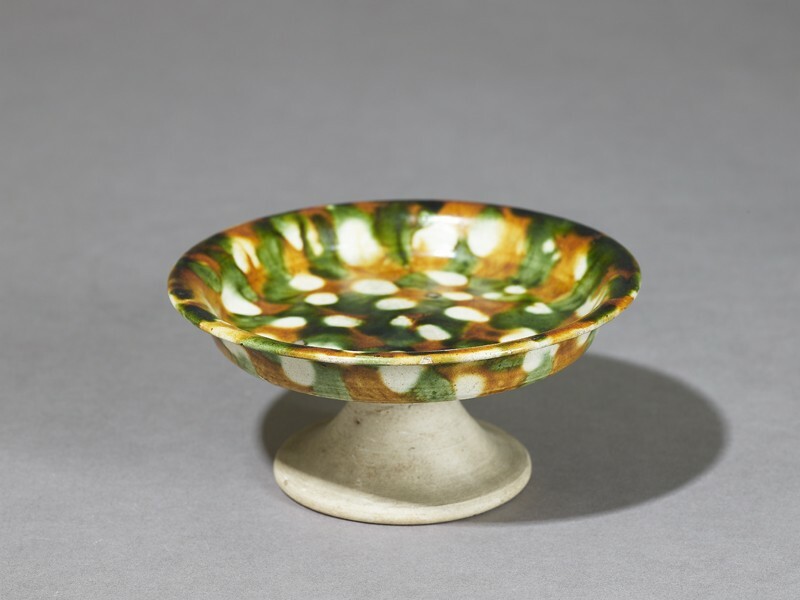 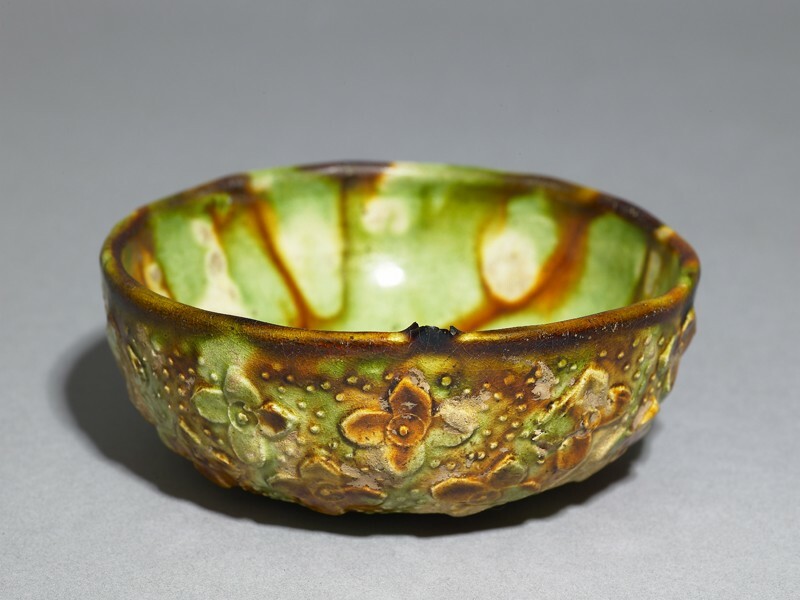 Many burial ceramics were covered with lead glazes in green, cream, yellow and sometimes blue. 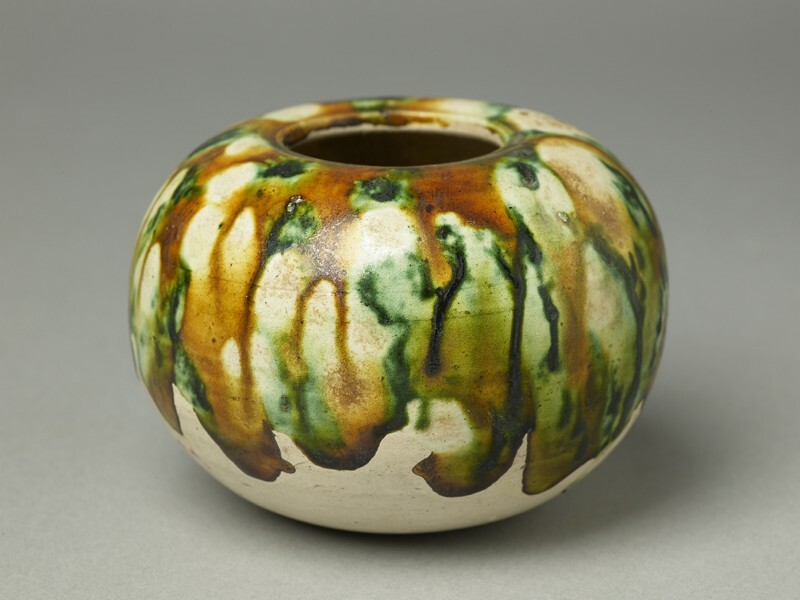 Others were unglazed but painted with red and black pigments. 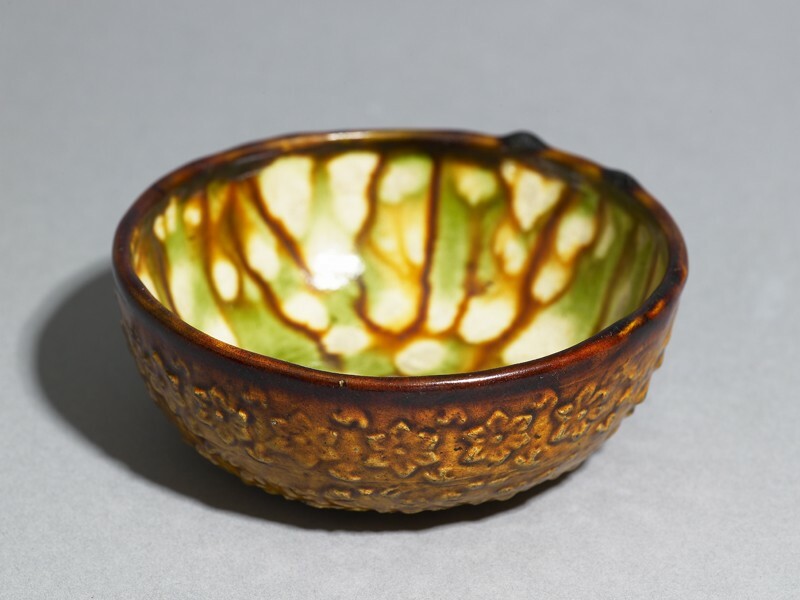 The brightly glazed pieces were made for only about fifty years, during the reign of emperor Minghuang when the dynasty was at its height. 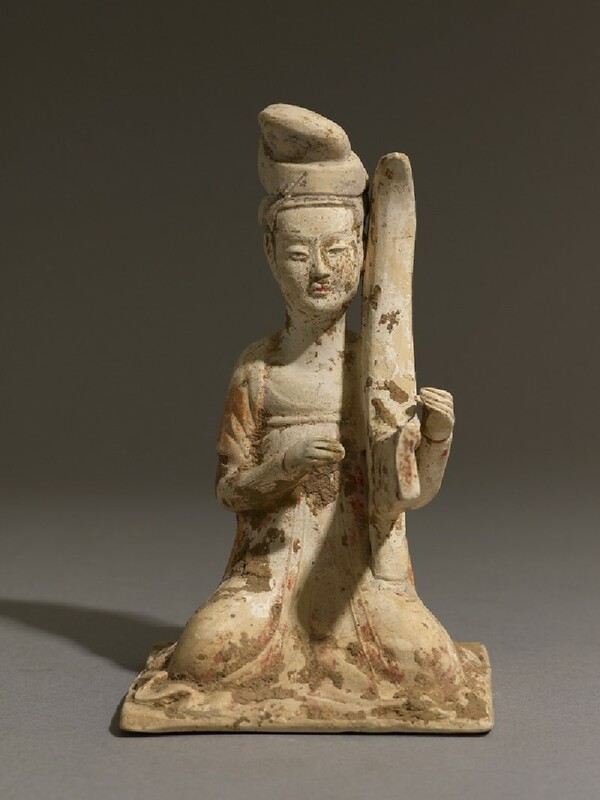 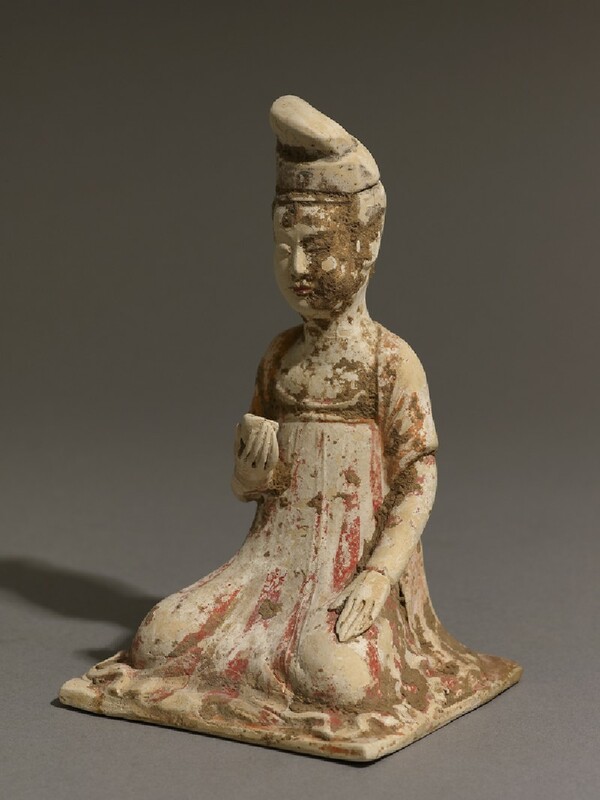 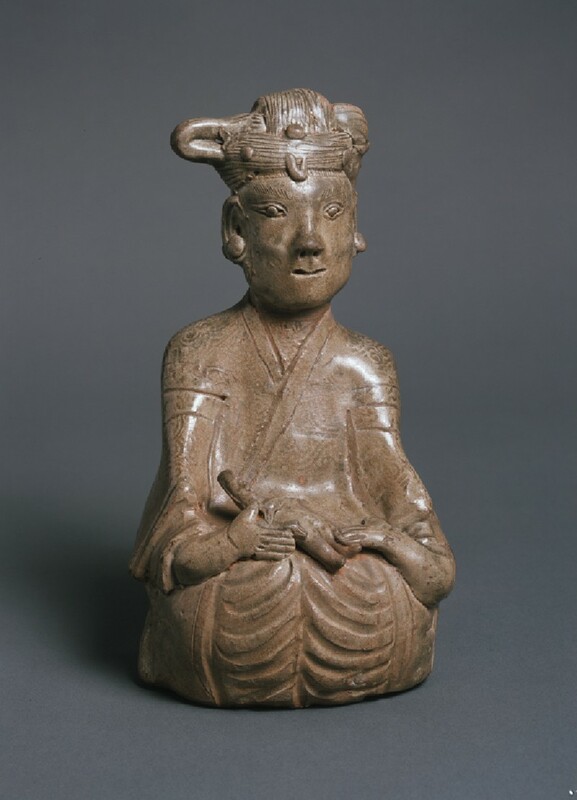 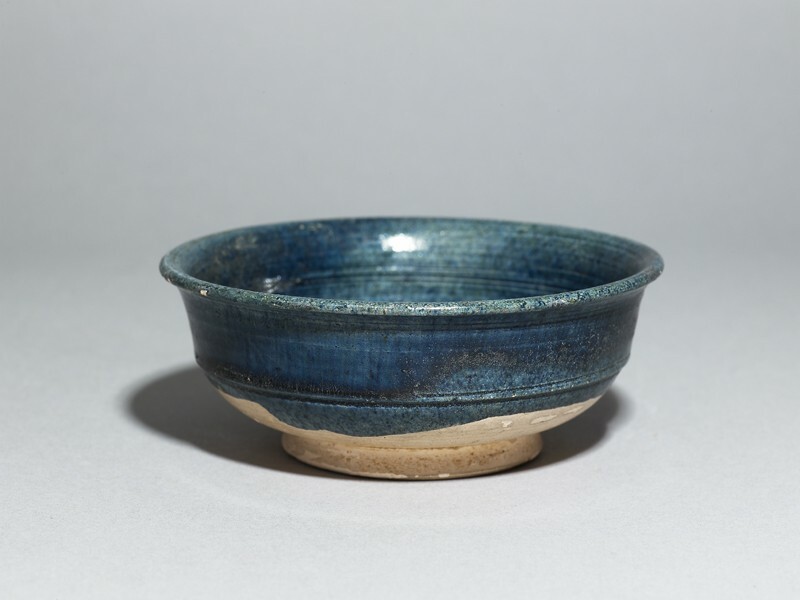 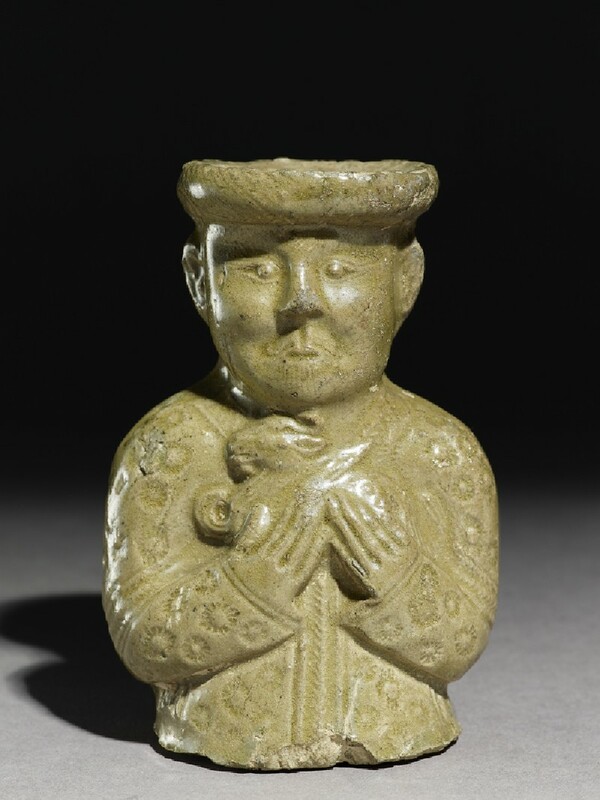 The capital city, Chang'an (modern Xi'an) was one of the most populous and cosmopolitan in the world at that time, and both the decoration and shapes of the ceramics show influences from the Central Asia and beyond. 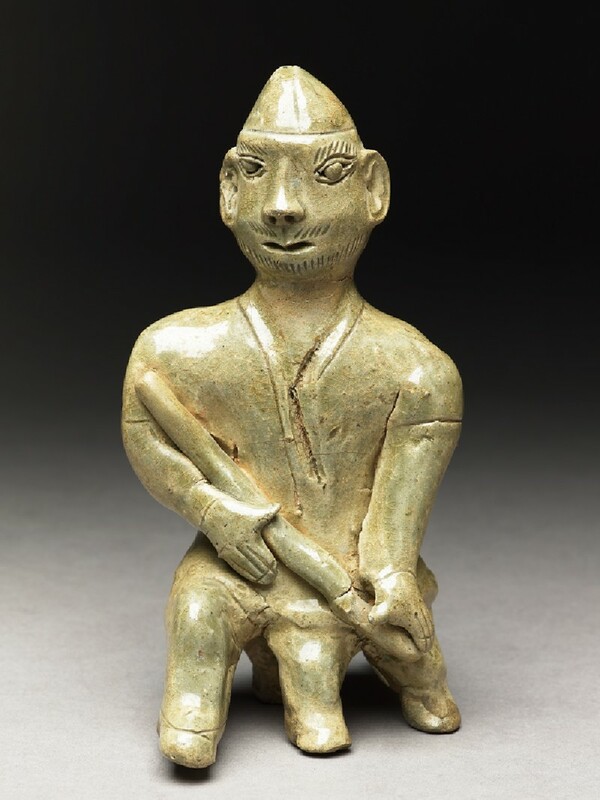 Tomb figures in China 3000 BC - AD 800 gallery. 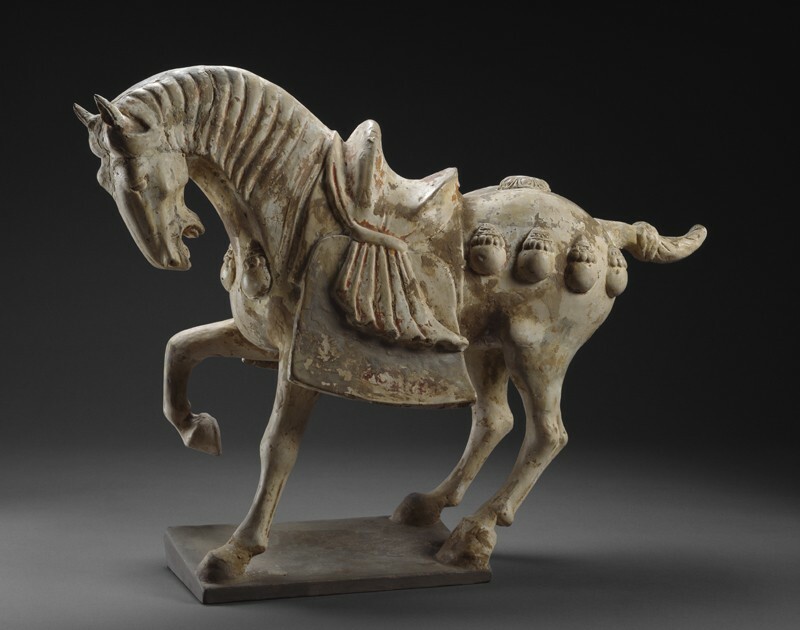 The Silk Road is the popular name for the routes that, for centuries, stretched across the ancient world from Japan to Rome. 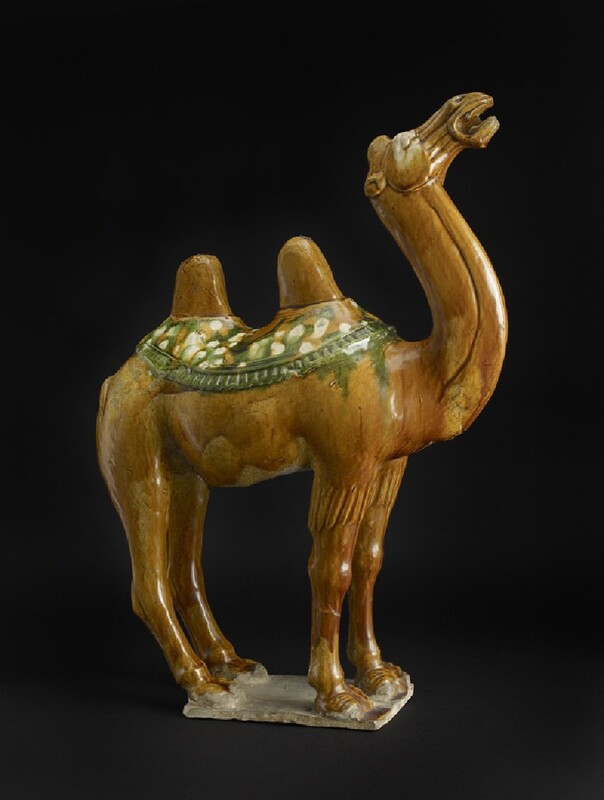 From north China to northwest India it extends across deserts and mountains, thousands of miles from any sea route. 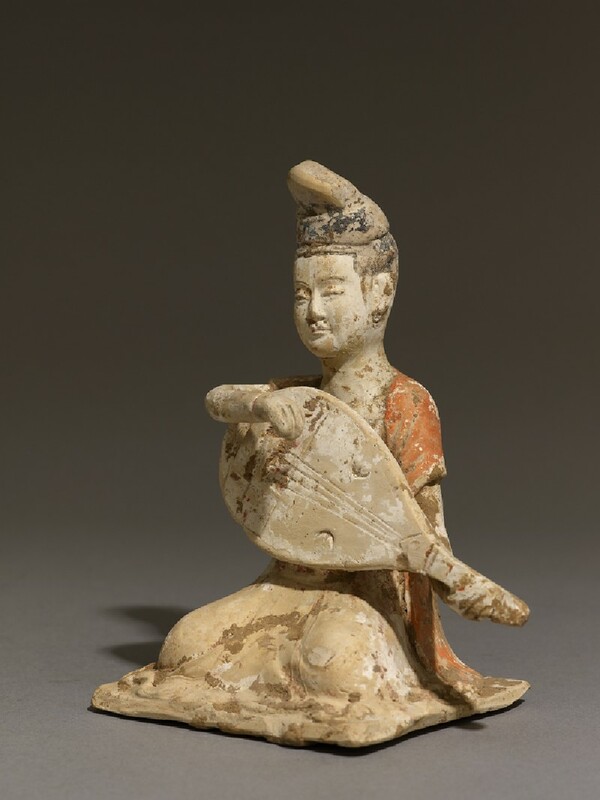 From around AD 400, monks travelled along the Silk Road from China to India in search of Buddhist teachings and sutras. 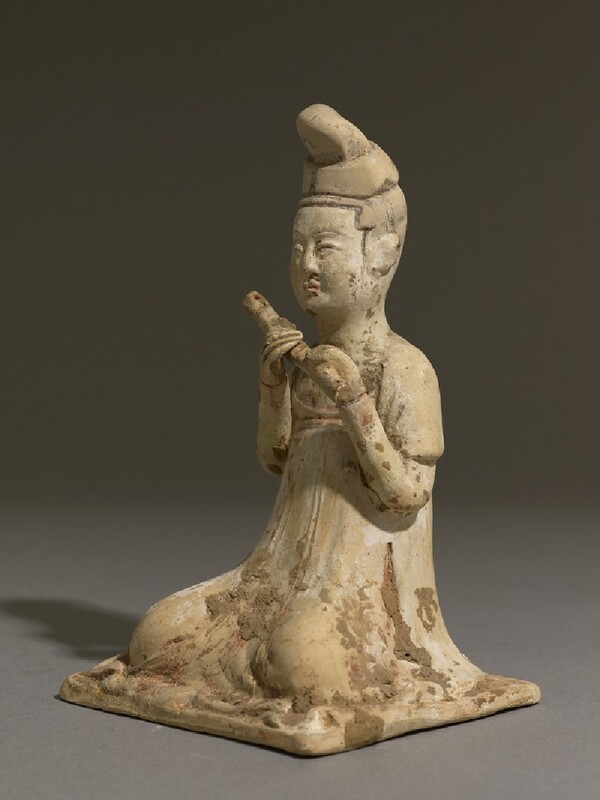 Buddhist temples were constructed across China and were often decorated with ornamental motifs adopted in Gandhara (Afghanistan) from styles developed in the Classical world. 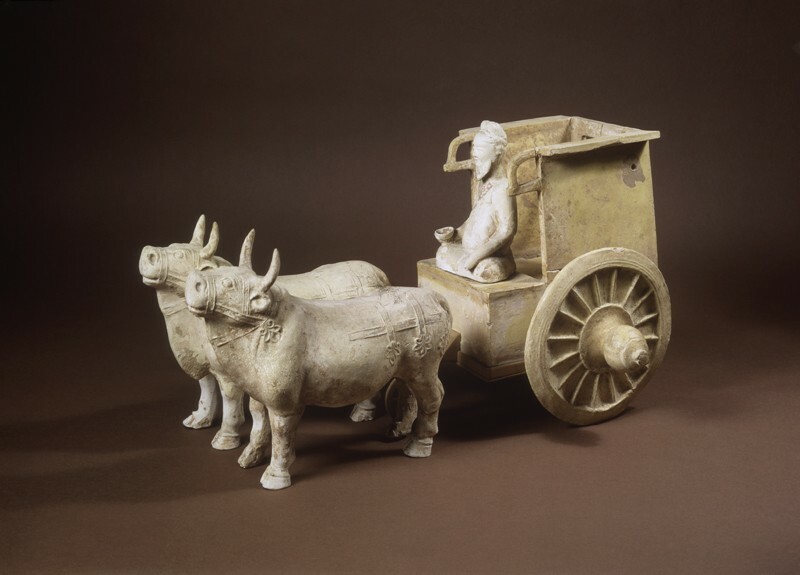 Trade caravans meanwhile transported Chinese silks that were eventually sold in Rome. 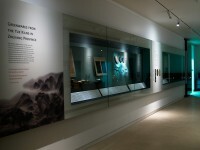 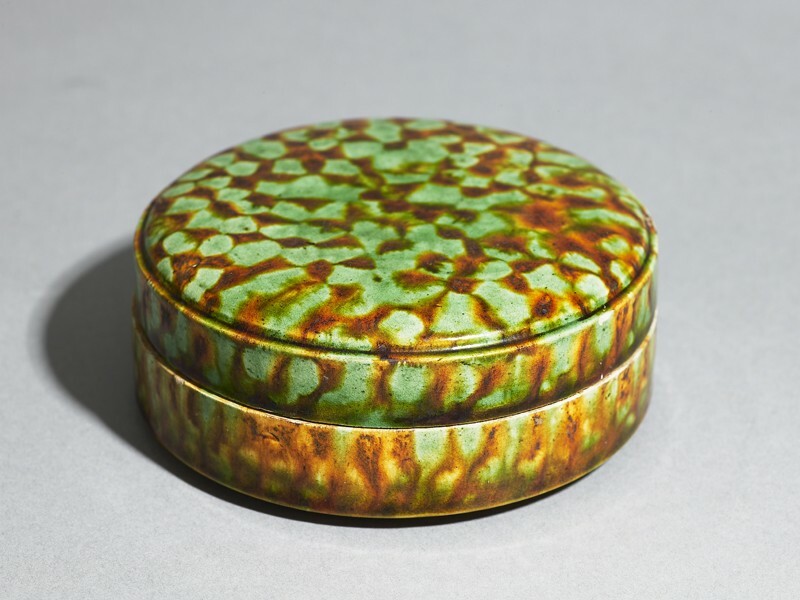 Textiles, coins and other portable objects demonstrate a rich exchange of ornament and decorative style.